[center]Hey there, folks!! Ever found that you can't come up with a outfit for your dragon? Ever found that you're too lazy, or it's just too much effort? Well, that's what I'm here for!!! I'm here to create an outfit for your derg! All you have to do is fill out an easy form, and send me 2kT or 2g per outfit! Simple! Here's the form. [/center] [quote=Fill me out please!!] [center][b]@OcarinaRuler I'd like to order an outfit, please! 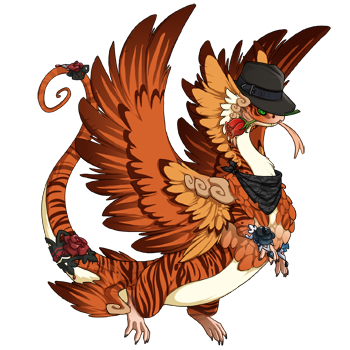 [/center][/b] Dragon picture: Dragon ID#: # of slots you have: Treasure and/or Gem Marketplace Items? : Anything I can't use? : Accent/Skin? : # of outfits you want: Theme: Other: [/quote] [b] I will do Fandragons!! Please include the name of the character! [/b] Please note that I'm fairly new to this. A friend suggested I do it. Hey there, folks!! Ever found that you can't come up with a outfit for your dragon? Ever found that you're too lazy, or it's just too much effort? Well, that's what I'm here for!!! I'm here to create an outfit for your derg! All you have to do is fill out an easy form, and send me 2kT or 2g per outfit! Simple! @OcarinaRuler I'd like to order an outfit, please! I will do Fandragons!! Please include the name of the character! Please note that I'm fairly new to this. A friend suggested I do it. Alright, I'll get started ASAP. @OcarinaRuler They look nice, but they're not quite what I'm looking for. Do you think you could try again? Let me know if I need to edit them. @OcarinaRuler Thanks for trying, but it still doesn't fit her.